Probably the best part of Arvin Real Estate is the family oriented community. This page will introduce you to information on Arvin Real Estate and Arvin Homes for Sale. The first federally operated labor camp “Arvin Migratory Labor Camp” was opened here by the Farm Security Administration in 1937. There are a total of seven schools that serve the community; Di Gorgio Elementary, Sierra Vista Elementary, Bear Mountain Elementary, El Camino Real Elementary, Grimmway Academy, Haven Drive Middle School and Arvin High School. Haven Drive and Sierra Vista are the two oldest schools in Arvin, Haven Drive serves middle school students of seventh and eighth grade. Sierra Vista Elementary serves students from preschool to sixth grade. El Camino Real Elementary serves students from preschool to sixth grade and has a 4 out of 10 rating on greatschools.org. The newest school is Grimmway Academy, a charter school serving students from kindergarten to eighth grade and has one of the highest ratings in the area of 5 out of 10. The Kern High School District operates Arvin High School for student’s ninth grade to twelfth grade which also shares a 5 out of 10 rating on Great Schools. When Shopping for Homes, Check out Arvin Real Estate! 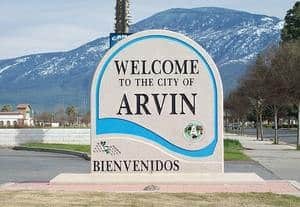 The city of Arvin has its own Police Department and as of 2010 employs 27 law enforcement employees to protect its approximately 19,300 population. Arvin residents have some great shopping close by at the Outlets at Tejon. This outlet shopping center hosts many greats like Aeropostale, Coach, Gap, Pottery Barn and Michael Kors just to name a few. If shopping isn’t your thing then take advantage of some great Parks in Arvin like; Smotheron Park, Di Giorgio County Park or during the summer heat you can cool off at Spray Park.